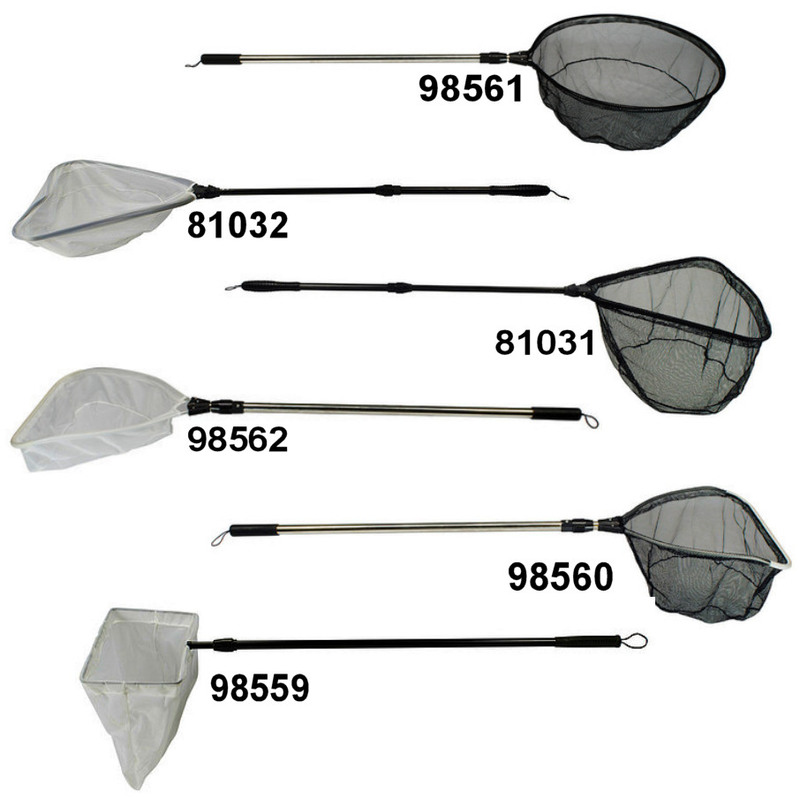 These sturdy telescopic skimmer/cleaning nets and pond fish nets are perfect for the delicate handling of prized fish as well as surface skimming and debris removal. We offer 9 specific pond nets to fit the job you need to do from regular mucking out of debris or gently handling your fish. Handle Length:36" extends to 69"
This net is specifically designed to handle and cradle larger pond fish including koi. The super soft netting and shallow design prevent fish from being snagged in the mesh. This style net is a must for the pond owner with larger fish. Handle Length: 20" extends to 40"
The 17" wide fine, tangle free skimmer net catches even the smallest debris, making it ideal for quick and easy removal of leaves and other debris. The 17" wide coarse, tangle-free mesh glides quickly through the water making it an ideal net for catching and handling fish. Handle Length: 36" extends to 69"
The strength of this net allows for removal of large amounts of debris, cutting down on maintenance. Handle Length: 32" extends to 63"